Welcome to our first Holiday Craft Bash tutorial! 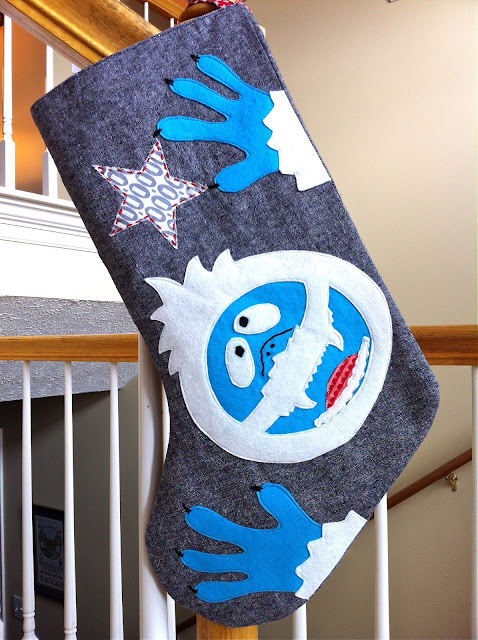 This week is all about stockings, and as you can see, I've made a stocking honoring Bumble, the abominable snowman from Rudolph. Who doesn't love that old claymation tv special? It's just one of those nostalgic things that brings back great Christmas memories. 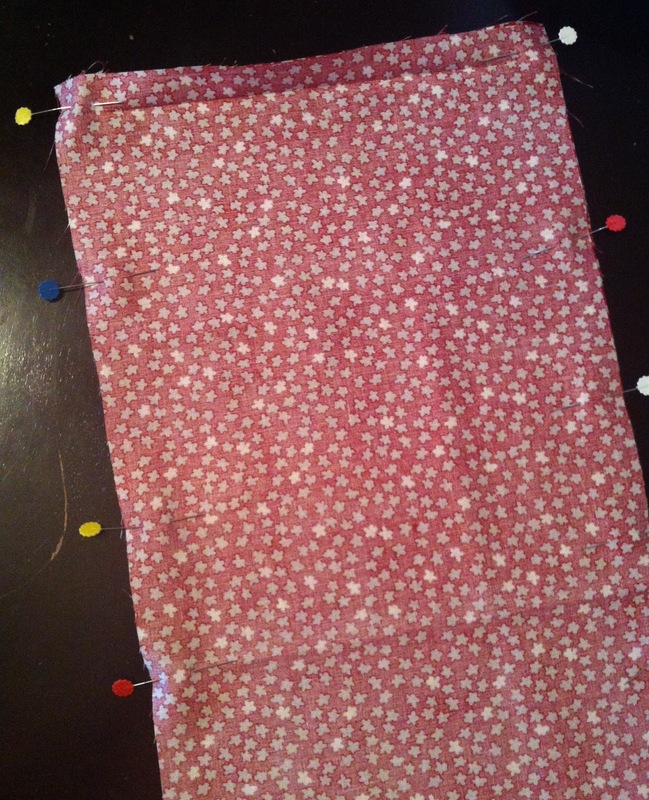 - 1/2 yard fabric for the outside of the stocking. It's best to use a darker solid or near-solid. I used Essex yarn-dyed linen in black. - 1/2 yard lining fabric. 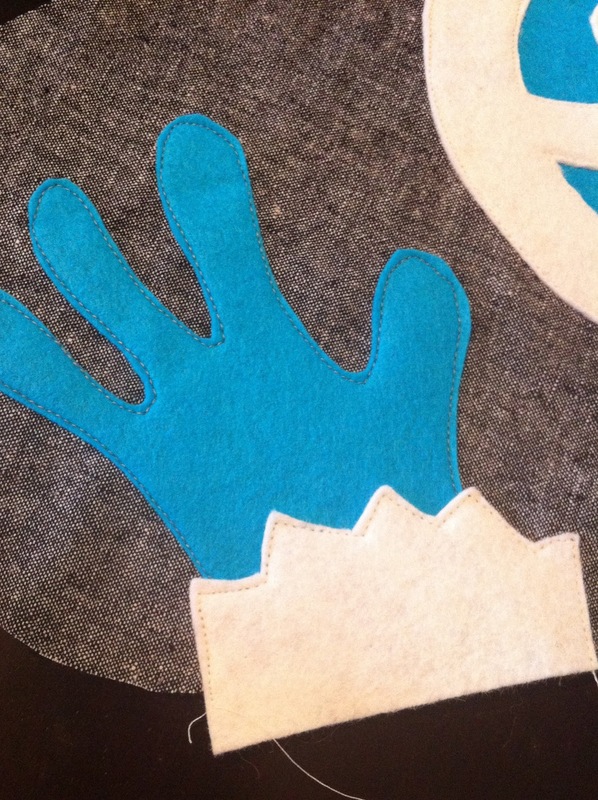 - Small amount white felt and blue felt. I would advise getting a wool blend, not those little squares of craft felt. Stockings should last through the years! - Black perle cotton or embroidery floss. And red is optional for the star. - Stocking shape pattern. These are very easy to make by tracing an existing stocking and adding 1/2" for seam allowance all the way around. Just make sure the straight part of your stocking is at least 9" across unfinished to have room for this Bumble design. First let me talk about cutting your shapes out and securing them on the stocking. There are basically two ways you can do this. The first is to use two-sided fusible web. (If you have not used this before, sorry that's not part of this tutorial. But you can find lots of other tutorials on it, or just follow the package directions.) 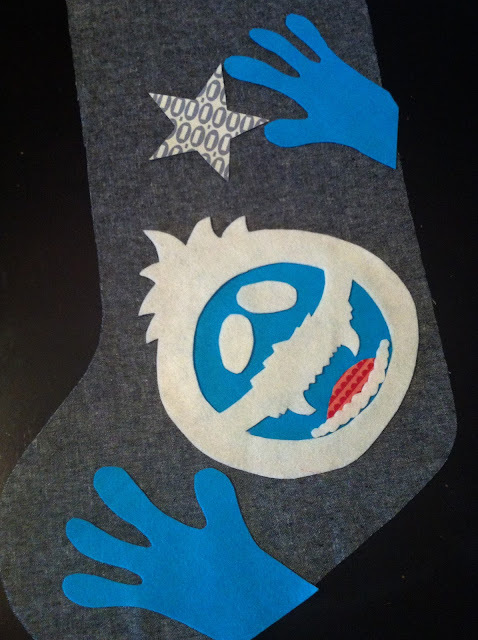 You can trace the templates onto the paper side of the fusible web, iron it onto your felt, and then cut them out and they are ready to fuse onto the stocking. Just make sure you trace the hand in two mirror images. On the other pieces, direction doesn't really matter. The second way is what I did, and that's use fabric spray adhesive or quilting spray baste. Whenever I have a project with several different pieces to appliqué, I prefer this method rather than messing with fusible web. Plus I always have spray around. I traced the shapes onto the matte side of freezer paper, ironed that onto the front of the felt and then cut out the pieces. Then they are ready to be glued on with spray. Also remember to cut out a circle about 6" in diameter from the blue felt for the background of Bumble's face. This is not included in the templates. 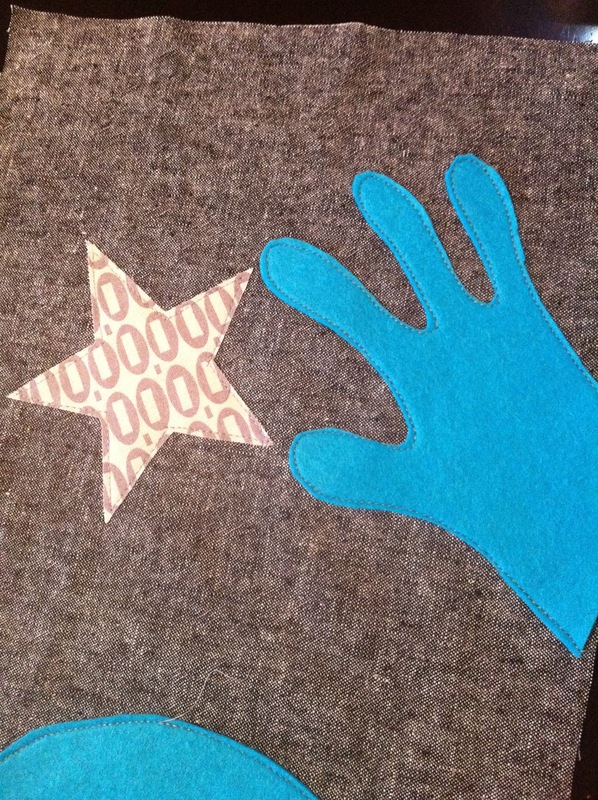 Use your stocking pattern to cut out 2 from the main fabric, and 2 from the lining. 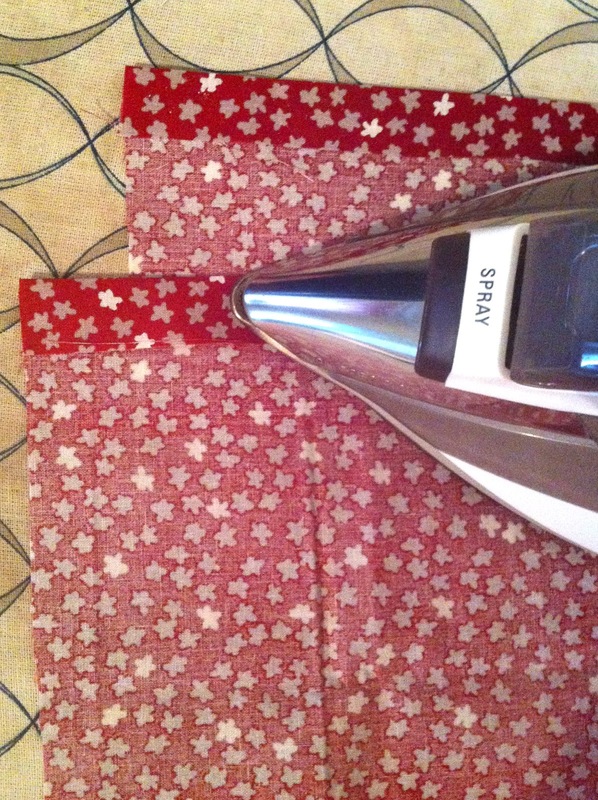 Then cut a piece from your lining that is 2.5" x 9" for the hanging loop. Iron both lining pieces down to the wrong side by 1/2" at the very top. Create a good crease and then unfold again. Pin the two lining pieces right sides together, and sew around the sides and bottom, leaving only the top open. Use 1/2" seam allowance. After stitching, trim that seam allowance down to 1/4". Now make the hanging loop. 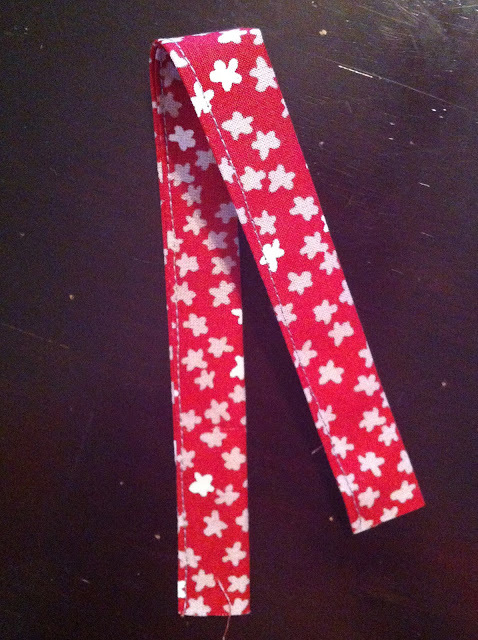 Take the 2.5" x 9" piece and fold it wrong sides together so that the long edges meet. Press. Open it up and fold both long edges in to meet that crease in the center you just made. Press. 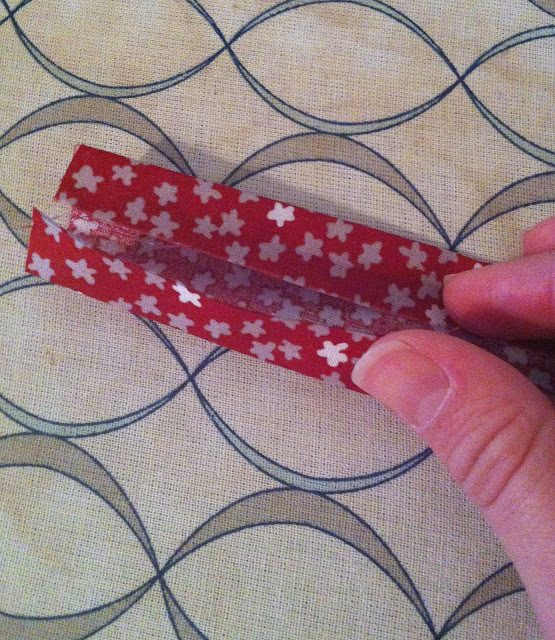 Fold it on the center crease again so that the long raw edges are inside and press again. Stitch down the open side very close to the edge so you are left with a little strap to use for hanging. Set aside. 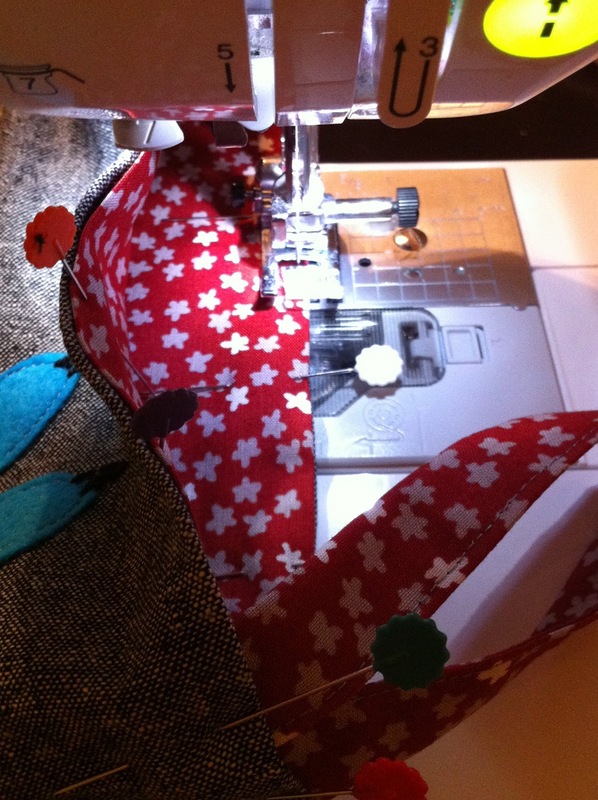 Now take the front piece of the stocking and arrange your cut shapes where you want them. remember that 1/2" will be lost all the way around to seam allowance. Once things are generally where you want them, take off the white parts and spray/fuse down the blue parts along with the star. Machine stitch around the edges of each piece. Felt won't fray, so just use a straight stitch. I even used a straight stitch on my cotton scraps because I want them to fray a little, but use whatever appliqué stitch you'd like. The fingers are curvy, so go slowly! 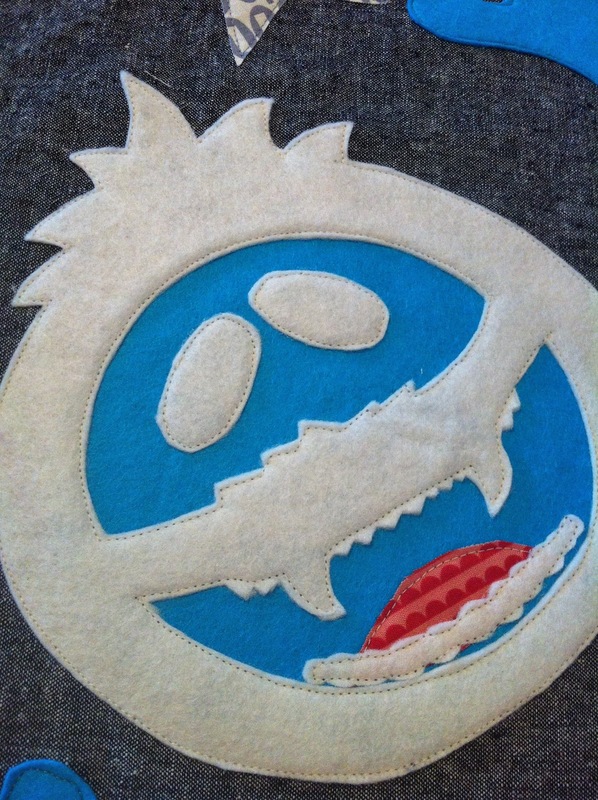 Once all the blue pieces are stitched down, add the white pieces and the red tongue. (Just cut a small half oval shape for the tongue that fits under the lower teeth.) Stitch around these pieces staying as close to the edge as you can. Notice that I didn't try to go stitch to the edge of every tiny tooth, just stayed close. Don't forget to add the fur cuffs to each hand. You want these to hang off the edge of the stocking a little. Almost there, now we are just going to add a little hand embroidery for the features. He wouldn't be Bumble without those crazy eyes and that turned up nose. 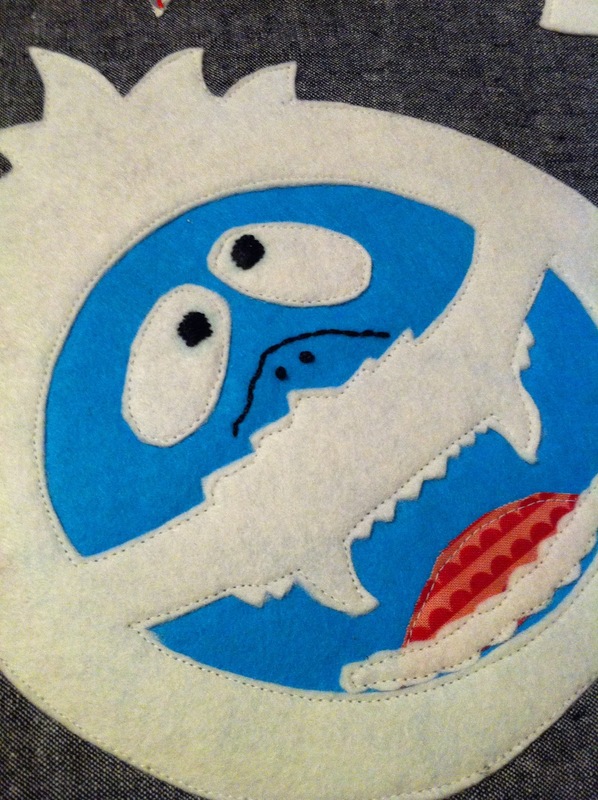 I used a satin stitch for his eyes, and backstitch with French knots for his nose. Don't really know how to do those things? That's ok, I don't either, I just kinda wing it. But Wild Olive's stitch tutorials help me a lot. 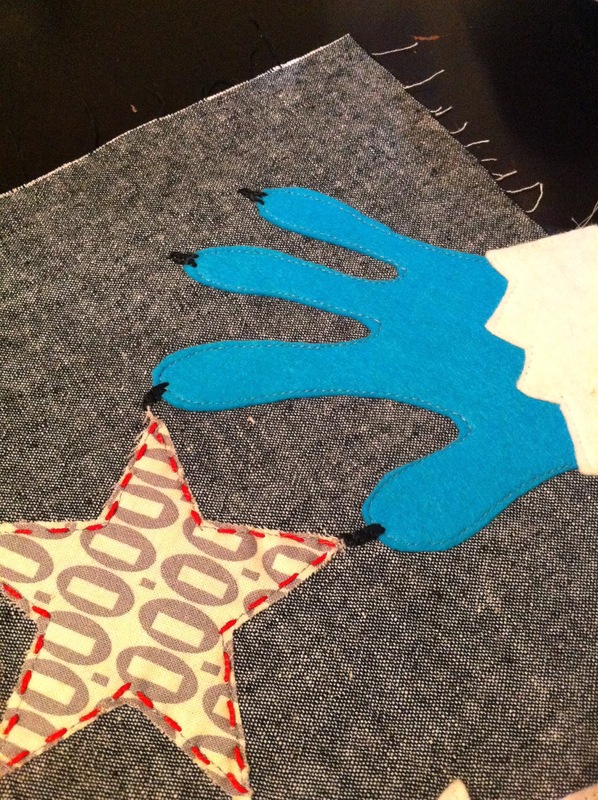 I also added claws with backstitching and a red running stitch around the star. Don't be afraid of the hand stitching, it's really worth the time and it doesn't need to be perfect at all. Now put the outside of the stocking together the same way we did the lining. 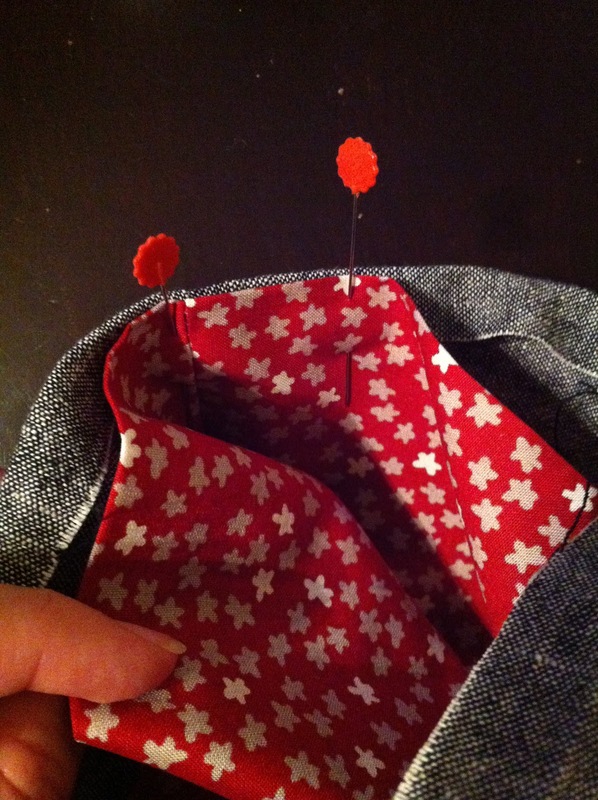 Create a 1/2" crease at the top first, then sew right sides together and trim the seam allowances down. Be sure to clip into the curves this time, and then turn it right side out and press. With the lining still inside out, stuff it down into the outer stocking, so that wrong sides are together. Refold both pieces so that the tops are creased to the wrong sides again. Line up the side seams and pin all the way around the top. 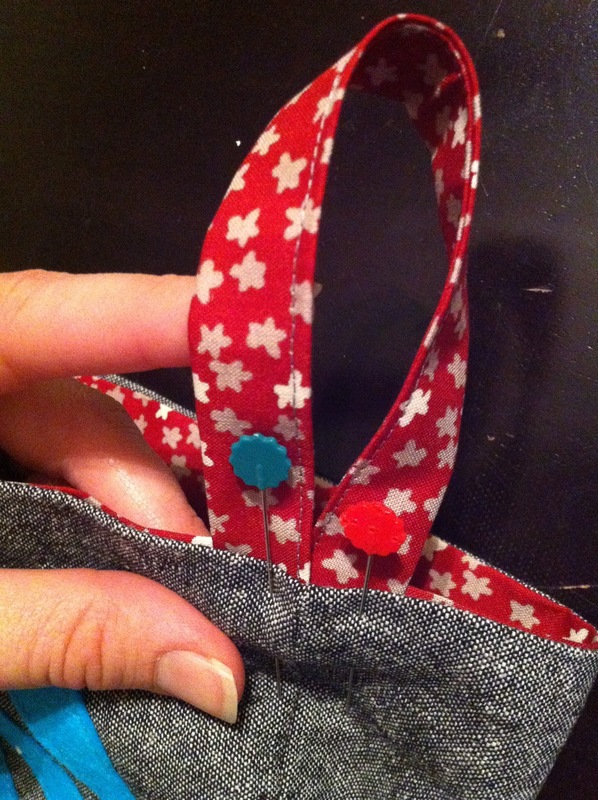 At the outside seam, stuff both ends of the loop piece down between the layers and pin. Sew all the way around the top, very close to the edge with the lining facing your presser foot and the outer against your needle plate. Reinforce your stitching where the hanging loop is. Ta-dah! How fun is that stocking? All your friends will think you got it somewhere kitschy like Cracker Barrel, but be sure to tell them it's not so. If you do make this, or any other project you see over the next few weeks in our Holiday Craft Bash, be sure to add them to the flickr group. 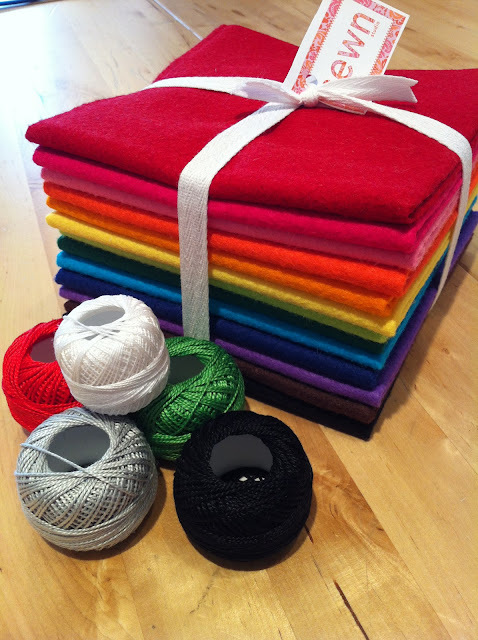 Anyone who adds pictures of stockings they made by next Monday will be entered to win this beautiful felt and perle cotton prize package from Sewn Studio. 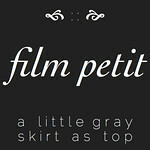 And there will be new prizes up for grabs each week for those who sew along on Flickr. Be sure to head over to Olivia Jane Handcrafted to preview three more beautiful stocking projects you will have to choose from! Love it...perfect for my little Monsters Inc fan! I was just talking to my husband about making stockings this year. You did an awesome job... LOVE it! Totally. freaking. love. This is so awesome, J! How cute is that! 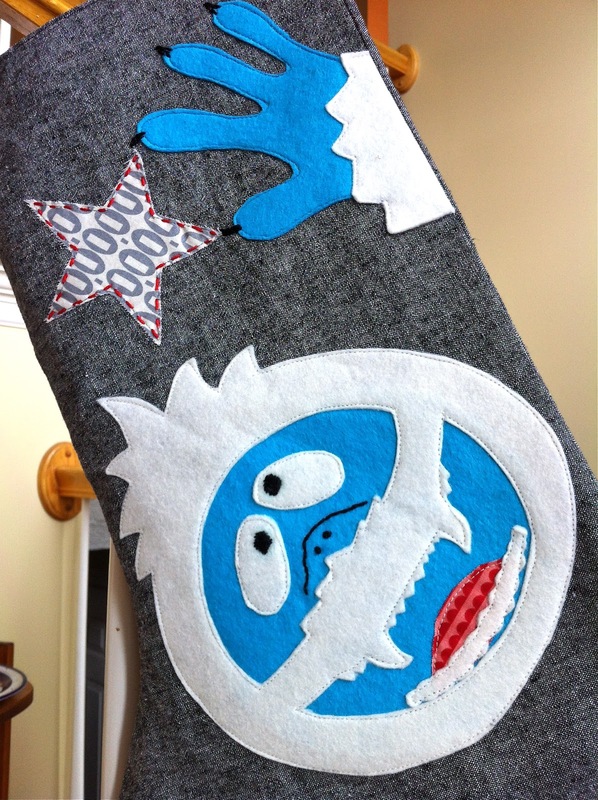 Love the abominable snowman! This is SO cute!! We watch those Rudolf movies every year! Great tutorial Jessica!! i die! so so awesome! you are absolutely amazing! Ohhhh, how creative is that! Good times, with Rudolph. I'm glad Christmas is coming again! Ohhhh. My. Goodness. I adore this, Jessica! I'm hoping you will bring to show at the next guild meeting so I can see it in person! Bumbles is my hubbys favorite.he says it should be Bumbles and Rudolph lol. Thanks for the great tutorial. 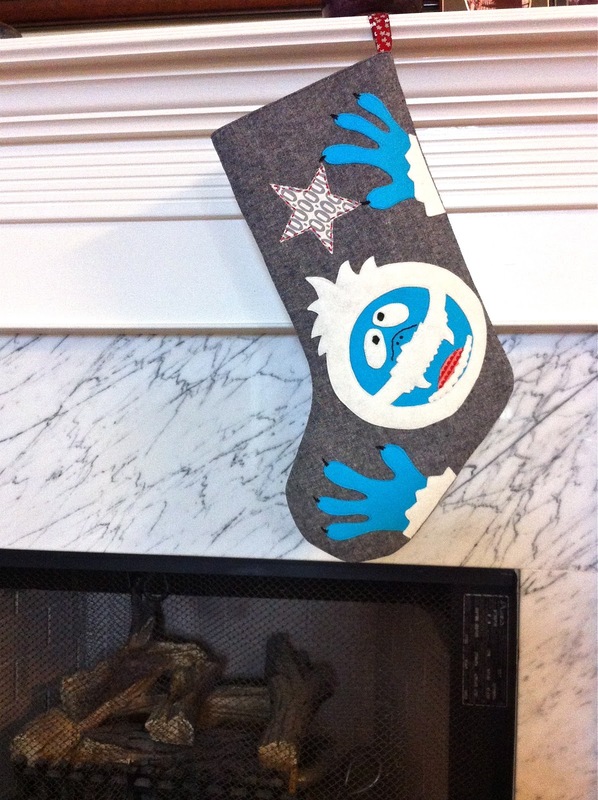 My youngest loves his new stocking.